Today, I found an interesting article while browsing the internet - why people love their cars. It is a phenomenon what we can understand, but which we do not want to change thill there another way around. Do you use a car? I do, my family and friends do, everyone who can lease a car, does it. Highway is freedom, there's still gas in the station?All the Europe and US are using cars, and car (+related) industry is one of the most profitable these days. Cars are even usen in not so highly advanced societies, like in Africa. They use europeans old cars, and meanwhile the picture might remain ratten.com, the cars are still in use. 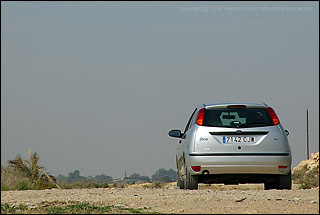 What is the phenomenon of the car? I did not find too much information about that today while browsing the web & squeezing search engines, so I can tell you why I'm using the car. I'm sure sociologists have paid attention to it timeby time, though. Now down to the business, why it is hard to relinguish our cars. 4) Cars are durable these days - you can drive a few hundred thousand kilometers without major maintenance. 5) You can install an expensive hi-fi sound system, so music makes you feel in heaven. 9) Owning car is an advantage (= speed, mobility) in business. In the same situtation, in the same business, the one who owns car, can probably manage business faster. 10) We feel ourself safe in our car, so we can provoke our co-drivers and police, can't we. And it gives us so much self confidence and adrenaline, ain't that. So in general, we are comfortable, egoistic, lazy, vain, indolent. We won't die when we would not have cars. But two or more of them are nice also, don't you think. The more newer, faster, stylish, durable, multifunctional the better. A great way to start ..